Lavender is cultivated all over the world: Bulgaria, England, United States and France are historically known for producing the essential oil. Harvesting the lavender for oil must be done at the peak of the day’s heat. Essential oil is extracted by steam distillation from the fresh flowering tops. 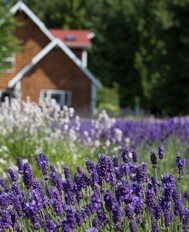 Learn about lavender facts and the history of this amazing plant. Lavendula angustifolia/officinalis grows at altitudes reaching the height of 5,000 feet. The officinalis, known as ‘vera’, affords a much smaller plant and the harvesting is more laborious. In a field ripe for harvest the plants resemble fattened velveteen porcupines with hues ranging from brilliant whites to shadings of violet and purple. 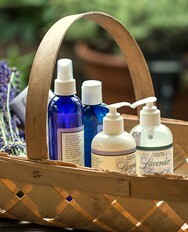 Lavender has many important properties. It is antibacterial, anti-convulsive, antidepressant, anti-inflammatory, analgesic, anti-rheumatic, antispasmodic, anti-toxic, antiviral, anticoagulant, carminative, cholagogue, cicatrisant, cordial, cytophylactic, deodorant, decongestant, diuretic, emmenagogue, galactogogue, hypotensive, insecticidal, nervine, parasiticidal, rubefacient, restorative, sedative, sudorfic, tonic, vermifugal, and vulnerary. 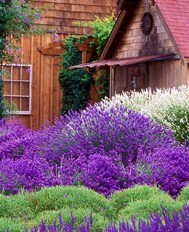 Lavender is a plant rich in history and myth. With its roots in the ancient herbalists, lavender’s properties as a disinfectant and antiseptic grew through the centuries, even gaining the reputation of warding off the plague. Lavender’s popularity with the English royalty gave it a berth in the ranks of a cosmetic herb, and it was with Queen Victoria that lavender was recognized as a tonic for nerves.